Slightly violet round biconvex tablets of white color; odorless. 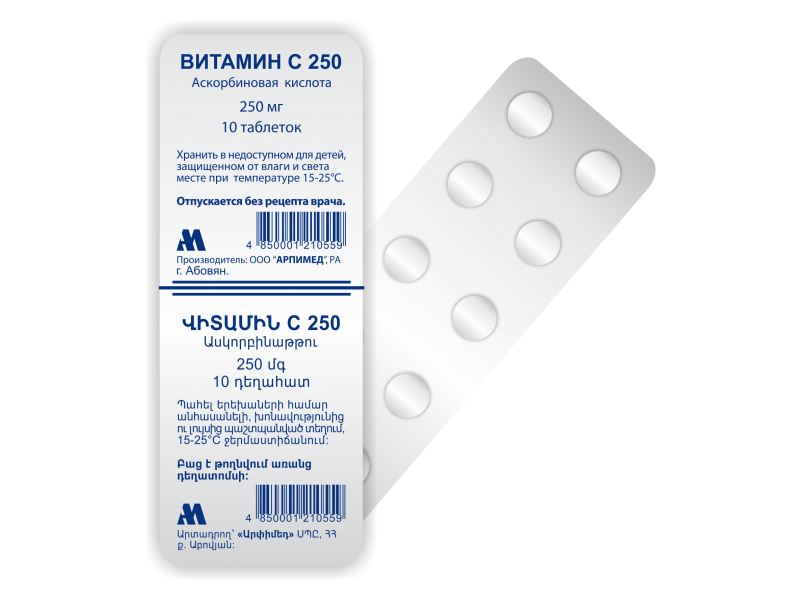 (Vitamin C, 500mg tablets). Plastic bottle with 20 tablets and insert-leaflet in cardboard box.